The bulk email service is designed for the individuals or the companies that lack resources, time, or the technical know how to send a large number of bulk mail lists to their own mailing list. Whether 100,000 to 20,000,000 bulk email list is to be send, the various bulk email services online would help out. These services would send the emails with complete real time tracking and the reporting on the email marketing campaign. In case you are searching for ways to open a small scale business or an international organization you have got to use bulk email services. It is a fast and easy approach to send e-mails to numerous recipients via the internet and to advertise your products. These addresses are obtained from various chat rooms and websites. It is a good way of promoting your business and other marketing services. These services allow organizations to create, publish and track e-mail newsletters. It provides a clean interface to an almost fully featured web-based e-mail account. Bulk e-mail services allow you to create, manage and send all bulk email campaigns, all from one user friendly interface. As soon as your campaign is sent you can also receive a feedback by reviewing a detailed statistics that is automatically calculated for every campaign. These statistics will show you how many people have actually read the emails that you have sent them. It also tells you how many clicks have been made on the links. Must for a marketing plan: Bulk email service allows targeting the best prospects which would lower the price. It helps getting the message to a greatly targeted database of people who are most likely to respond to the offers, and any form of advertising. Today, it is considered as a smart marketing vehicle and would remain the same in the future too. The bio terrorism has brought the mail response to the knees. Thus, it has become a marketing choice of most people. Bulk email service is completely safe to use. A disease opening email cannot be contracted. If it is not a check or a bill, most of the others are disposed off being unread. It helps in getting the message to most of the qualified prospects at a low price. Bulk email service is always targeted to people. In order to generate new clients it is necessary to transmit the marketing message to individuals interested in a particular type of service or products via the bulk email service. 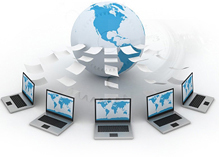 There are many bulk email service providers available. Thus, one needs to choose a provider having an extensive database. One can seek help at the bulk email experts too. They would help at every step right from researching list categories to prospect modeling and profiling. Things to be considered: Do not consider the bulk email services that are willing to sell their list to you. If the list is being sold then one thing that needs to be considered is that there would be many others holding the same list. One would find even the competitors using the same list. Only a reputable bulk email service would not sell the list. It is quite impossible to manage the entire list and offer the records exclusively in public. Beware of the services offering to send thousands of emails at a real low price. It is obvious that the lists are old, are not targeted, and most likely are spam. Choose a bulk email service that has a large email list directory to assure that the message to the targeted audience is sent. It is wise to go with a service that has a double opt in database. This assures that the message is being sent to the interested people. Most of the companies fail to do so as they never read the messages sent by the clients. Many services often send spam which would infuriate the recipient. The unsolicited emails do not work as they are hardly viewed. If one receives an email from an unknown sender, they would simply be deleted without reading. Thus, one needs to consider a service that promises an extensive list directory with the highest amount of deliverability at low affordable prices. Bulk email marketing services: One such service is bulk email marketing which has proven to be the most fruitful channel for an increase in profit of any business. It gives the customers a forum containing necessary information such as faster responses, regular correspondence, more promos and discounts and various customer help guidelines. It is the most cost-effective and well planned email marketing strategy that will push the scale of your profit margin sky high. Most experts in online and email marketing services say that the process of email marketing requires proper email list management. The service is a safe and user friendly. The mail server administration facilitates, organizes and stores every email and makes sure that the email marketing is done precisely. The email marketing structure of Bulk email marketing was professionally designed by IT experts and successful internet geniuses with years of experience of the internet. Bulk email software: Bulk email software is the software that is required to bulk email marketing campaigns. It allows you to send personalized HTML emails, make announcements, newsletters, e-zines and promotions. It helps to directly communicate your messages instantly to the masses with bulk email. Getresponse is one of the top email marketing software of today. Along with its powerful add-ons you can also build your own opt-in subscriber list. It also manages your email bounces and provide unsubscribe lists with ease. Getresponse provides individuals and organizations with a cost-effective, flexible and valuable means of reaching subscribers, customers and prospectus. It also helps you to boost your sales and increase your profit margin to the maximum. It allows to create strong relationships with your customers. With this service any small scale business is sure to flourish all you need is an internet connection. It is a fast set up medium and connects you with millions of people all over the world. Deliver your message instantly followed by selecting your recipients from your mailing list and click the enter button to receive undoubtedly good results. With this you even have the ability to follow up your lists with unlimited sequential emails.